I had lit an Adam & Eve candle last thursday night, dressed with with love me oil and started my candle spell. I had put too much oil in it so it went out while I was sleeping but I immediately jumped up out of bed & relight it. The second time it went out it was starting to drown in the oil and i caught it right away and relight it again. After that it was pretty much steady. I was feeling pretty good about it and that it was going to work. We saturday an ex friend of mine contacted me to stir up some things that happened btwn the two of us a few weeks ago and I was getting bad anxiety and I'm like this is taking me off the path I was on. I got another white novena candle & dressed it with uncrossing oil and started that one on monday. Everything seemed to be going ok and the white candle was burning extremely fast & flickering really fast as soon I went near it. The A&E candle started burning faster too. Even with my on & off doubts of these working, at the end of the day I had faith that it was going to work. Do not over think, it was a mistake that he blew it out. And if I had others who may pry in my work, I would only work my spells when I am in the area and put them away otherwise. So if you feel, rework the spell and keep this in mind. Also do a cleansing of the area, either sage it, or wash down with Chinese Wash. I would not have kept the work lit if there was any potential for A) fire hazard B) wind, person, or animal that can contaminate the work. So I dont think this is a sign of anything except you being slightly careless. Yes you should repeat the work. Clear your mind, and regroup again. You do not need to the keep the candles going when you are not there, or if there is any potential of someone else and coming to blow them out. If you light a candle and random events pop into your head will whatever your thinking manifest if through or during the candle being lit, I've always wanted to know this. I hope this is the correct thread. I have begun working on attaining a specific potential lover and I am committed to working on this person for a year by burning 7-day red vigil candles back to back. What is usually the result or possible outcome(s) when working on someone like this? HI can someone help me? I lit a candle on a honey jar and my dad blew it out at first. Then I had to stay in the hospital with my brother and my dad decided to light that same candle he blew out. What do I do? Do i start all over? Please help!! Blueberry, if you are in a state of mind where random things pop into your head, you are not in a state of mind conducive to the intention of magical workings. Please see the thread on how to prepare, focus, and pray. maduro)1, your question is impossible to answer; it's like asking, "if my team plays football every weekend, will they win the World Cup?" What you should do is get a reading from a competent diviner at AIRR to see what your specific situation holds as a probability (and note that i said "probability," not certainty). barat, the question of whether your dad's interference spoiled your spell-casting or not would all depend on your dad's relationship to the issue that is represented within the honey jar. A divinatory reading would be helpful to you, as would magical coaching from a member of AIRR. I recently purchased a White candle fixed for both Clarity and Steady Work. I don't know when I should begin the petition/candle spell for this since it has dual purposes: 1) To gain clarity in where I should put my energies into finding work and 2) Getting a steady job. On what days, planetary hours, etc. should I begin this spell? I want to do it ASAP since I've had this candle and removed its' cling film on Monday. So I feel in a sense the candle is waiting to be burned now, like it's ready. Should I just do the spell now, or will it work better if I wait until the appropriate day and time? If you have job interviews this coming weekend or week, then go ahead and start it now to get it working for you. If you have the luxury of waiting a day or two start it on Sunday, as the Sun is linked with all good things, success, and blessings. I don't have any interviews, so I will start the spell on Sunday. Thanks for the quick reply! I've just finished burning a fixed vigil candle for a spell. I was advised by a AIRR rootworker to continuously snuff and re-light the candle only when I did work that related to the candle's purpose. So when I would job hunt, then I would light the candle. But when I slept or watched tv, I would then snuff the candle out with a candle snuffer or placing a bowl on top of the vigil candle until the flame went out. So after seeing that the candle burned with a lot of soot on top and around the side of candle holder (being soot-free towards the bottom) I take it as a sign that my spell did not work (I read this on the candle burning hand-out that came with the candle from Lucky Mojo). Is it safe to say my spell did not work from the divinatory signs? When you are snuffing and relighting a candle like that, it's extremely difficult to read any signs from the glass, because the act of extinguishing and relighting creates a great deal of soot &/or fogginess on the glass that normally wouldn't occur. So I wouldn't try to interpret the signs from that particular candle. If you want to know how things are going, book for a check reading with your AIRR worker on the matter. Thanks Devi Spring! I will try to get in touch with my AIRR worker for a divinatory reading. Need help please, When doing a ritual that requires burning candles...do we extinguish the candles after certain amount of time? or do we just keep them light-up during the whole spell? (24hrs). the reason I ask is because I'm doing a spell which is for money and abundance and it requires 3 candles, and since my LM shipment just arrived, I wanted to start on it right away, but my altar is in my room where I sleep and having 3 candles light-up at the same time I won't be able to sleep with so much light. In the past, I'll take the candles to the bathtub at night and let them burn there, but I don't know this time if it will be suitable for spells on money, abundance, good luck, etc. Please if someone can give me an advice on the subject, it will be very much appreciated. Thank you in advance. I don't know why you would consider the bathtub an issue just because of that nature of the spell. And if the light is a current issue (I say current, because after a while you may become accustomed to the light as opposed to without) then you can get a good eye mask. If you're using vigil candles, these are meant to burn continuously, not be put out. But you didn't give any specifics about the ritual- what the instructions say to do, for example, what's called for. Thank you Wild at Heart for your response: the spell calls for three, 7 days encased candles. I was concerned about the bathtub because there is where I burn candles used for spells to sent things away, reverse spells, jinxes, etc. If you're concerned about residual energy, cleanse the tub. You can use Van Van oil or Chinese Wash if you have it. Salt and a lemon scented cleanser if you don't. Fill and scrub the tub down counter clockwise while praying that any negative energy is cleansed away. Take some of the water to be disposed of at the crossroads and drain the rest. Wash down with a shower head if you have one, a pail of fresh water if you don't. If that's the tub that's used for the household/you to clean yourself in every day, you really should cleanse it anyway and change your mindset towards it. I don't overheat my house in hot weather. Thank you so much Wild at Heart and Miss Michaele for your recommendations. 1. 3 seven days novena candles, (or Pillar candles) in Red, Yellow, (if you don't have yellow, use white) and green. 2. Anoint them with LM Money drawing oil, Jazmin oil, and LM Crown of Success, or make a small holes in the candle and instil 9 drops of oil in each hole of the candle, (I make 3 holes in the form of a triangle in ea/candle), then roll the candles towards you in Cinnamon (ground cinnamon). 3. Now, place the candles in a form of a triangle (red at 12:00 mark of the clock, green at 4:00 mark, and the yellow at the 8:00 mark) on a fireproof plate or bowl, and around the candles in the plate sprinkle with cinnamon, (ground cinnamon). 4. Pray Psalm # 112 (for success, abundance, and blessings), or Psalm #108 if the spell if performed for success in your place of business. also,try praying either Psalm at the same time every day until candles are consumed, "concentrating in your needs" and thank Our Creator afterwards. This spell has giving me great response and if performed correctly, it'll give you great results too. Enjoy it! I am doing a 9 day candle burning to remove my neigbour. This was recommended by an AIRR member as part of the spell work I am doing. Can I snuff out and relight every day? I am using a black taper candle that isn't dressed. So it will burn out at somepoint, but can I make it last 9 days or keep lighting a new one when it burns out? Thanks in advance to any response. I would go ahead and put pins into the candle at same intervals so you can make sure to get all 9 days burn out of it. Once the candle burns down to "drop" the first pin, go ahead and snuff it out. Relight as needed for the duration of the days. Thank you for the quick response! Much appreciated. I have Crossing, Damnation and DUME candles. Was wondering if I should do them everyday or is a few times week ok? I cannot leave them burning so they are going to be used on and off. Personally I have worked with a Lucky Mojo's Vigil Candles by letting them burn every day for 15 minutes while I pray over them. You can also decide to burn the vigils, for 15 minutes, on a set day. With the nature of your candles you may consider burning them on Tuesday and/or Saturday. Best of luck. Vigil candles are meant to be burned continously, although some do burn them in sections. I suggest that those who wish to burn candles in sections use freestanding candles dressed in oil. A jumbo candle will usually burn for at least 12 hours, usually more. I was curious about candle timing on honey jars. I have read to place a candle on top of honey jar and let it burn for 9 minutes daily until it finishes, and others I read to burn the candle all the way. Is this a personal preference? I know with the right intentions no matter what it will manifest whatever you are seeking IF is Gods will. With trying to come up with ideas on how to eave my candles burning straight, came up with leaving them in the BBQ. Didn't try it yet but has anyone else done that? Its sort of like the oven idea lol! Here is my situation. I started a 9 day St.Jude novena this morning (my first one). I thought I had prepared everything but I ended up having to move the candle a few times and it went out a few times...and then I spilled some of the wax!! I also didn't know that I could burn candles in sections or snuff them out and re-light them until I read this forum. I work during the day and while I would like to let the candle burn constantly, it may not be feasible for me. 2) My second question is so if I only burn the candle when I am here do I still say the prayer 9 times each day for 9 days or do I just keep burning the candle when I am home with it until it is done (and saying the prayer for however many days it takes)? I am clueless and need help!!! Let the candle finish its burn and continue your petition. If you are feeling uneasy about the candle, then you can start over. It better to feel confidence then to continue in doubt. OR you can finsh this one and then follow up with another. Also, there is nothing wrong with spilling a little wax. I do this if the candle is having a hard time staying lit. If you want results sometimes you have manipulate things and take control before they go south. My son accidentally put my vigil candle out I was working for the job interview on Thursday.. Can I attempt a relight or am I starting over ? If I'm starting over I think I will have to grab something local and try a taper instead. He didn't know as he is only 8 and he was looking at it. He claims he breathed on it. Well, decided to run my candle spell again... Just to make sure. Didnt want to take any chances. Just used a plain white vigil candle and dressed it with what attraction, success and luck items I had from Lucky Mojo. Hope it works! When I first lit up my vigil candle, a piece of herb in the candle caught on fire because it was too close to the wick, creating a large flame and I had to quickly blow it out. Right after, I apologized and continued with my work. Will this affect my work? I know the fire was not a sign because the candle had too many herbs and that caused the huge fire. The candle is fine now, no cracks or anything. And it's burning just fine. Joseph, I will let ya know! Everything seemed positive so far. Did a redo on the spell from the beginning with a plain vigil, holy card of the saint I'm working with and Lucky Mojo products for dressing. It has burned very quickly and strong so far so I'm hopeful! Just for reference... The other spell I am running is using a Healing Miracle candle from Lucky Mojo for my husband and it is already working for him! I can tell u from having to quickly improvise a generic vigil to working a Lucky Mojo fixed vigil... HUGE difference! A Lucky Mojo vigil candle wins hands down for power to your spell!! My husband has been off pain medication for 2 days now and sleeping without pain! He was amazed also by the power in their products ! Thank you Lucky Mojo! I bought a nice little snuffer from Lucky Mojo. It works fantastic. I do a lot of work with 7 day candles and it is not possible to get your fingers down into them to stuff them out. So the snuffer works perfectly for that. I use the snuffer I bought at the Lucky Mojo shop as well and I agree. It works wonders! The more intention and faith you put into your work, the better. If in your spirit you feel more Candles are necessary, then go with that. More focus and thought into any work is never a bad thing. But also be mindful of Fire Saftey! Splinting a wick with a secondary wick is something that most of us know how to do and which should not affect the spell. The subject is covered in my book, "The Art of Hoodoo Candle Magic," and one of the things i always recommend is that practitioners keep a small supply of splint-wicks on hand for this sort of emergency. I just wanted to share my experience here with vigil lights for those reading who are nervous about having candles burning while you are out at work or whatever. I had 2 Lucky Mojo Vigil Candles going which sat on my altar when I was home. When I had to go to work, I would carefully move them into a large metal pot that sat in my bathtub (bathtub wasn't ceramic, so I wanted that extra protection). I'd leave them there if I knew I was going out again in the evening, and/or move them back onto the altar when I would be home for an extended period of time. I swear once you see how well encased the flames are in the thick vigil candle cylinder and then doubly reinforced in a pot, my concerns about having them burning and "something happening" while I was out were pretty much put to rest. That being said, I begun my work on a day I was home all day, and monitored the candle flames for a full day and night, watching for any signs of flaring or too high wicks or flames, cracking, excessive heat etc. before I was comfortable leaving them unattended. If if I had any of these beginning my spell I probably wouldn't leave them burning unsupervised and would have had to come up with an alternative (timed burn, snuff and relight, smaller candles). As it was they really cooperative so I was fine leaving them in the bathtub in a pot. I really love vigil candles and the whole idea of having them work with me consistently over several days (like a crock pot) really does empower the spellwork whether you are burning them as backup or for signs or whatever. This was my first time working with LM vigil candles and I have to say I am completely enamoured with them. I was so wowed by the dressing and scents when I received them and they burned and handled in such a way I had NO concerns that the signs I was getting had anything to do with poor quality candle wax or herbs. They are great candles to work with! Love what you do Miss cat! Your mileage may vary, but maybe this will help someone who is doing a vigil burn at home and was feeling a little nervy about it. I'm currently doing a 9-day Money Drawing spell; ie., burn the money drawing candle for nine nights, etc. Unfortunately, I've goofed and forgotten to do it last night. It happens, life gets hectic, you forget. Better that I forget to *light* a candle than forget and leave on burning, at least. That said, I hate to waste the spell. Is it better, results-wise, to end the spell on the ninth consecutive day since the first burning, or should I make sure that it's burnt for nine nights (ten nights since first burn)? Or try and stretch it to nine nights consecutive? I have heard, on numerous occasions, that if you forget one night then just continue doing it to extend on the tenth night (to make it total of 9 nights). However, in my personal experiences, I had to start the spells all over again (when I've missed a night) because I have ruined the momentum. So, you'll have to try and find what works for you. My suggestion is to complete this spell (going on to the 10th night) and then start a new spell all over again. Is there a set rule as to how long a candle must burn? 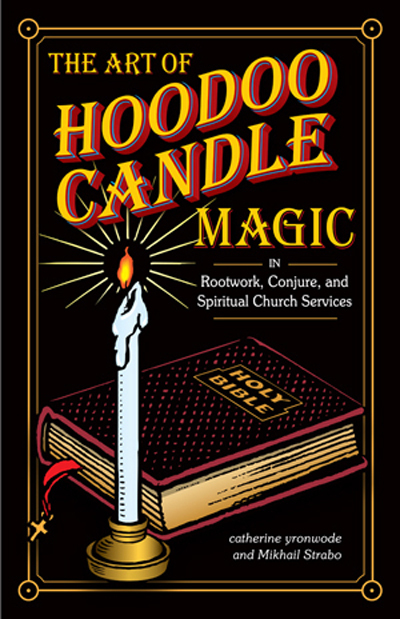 I have been doing candle magic for a while now-- but am new to the hoodoo traditions. I tend to just trust my intuition. Some candles will burn through in one night… others take a few days. Is there a particular way that's more effective? For example I recently burned a skull candle to clear and cleanse negative thoughts.. I focused very strongly for a few hours on this candle each time. And it burned in two days. Any help would be appreciated! That's a pretty hard question! It would take so very long to explain all to this to you on the forum! By the time you read the page that I gave you and the book, we'll be coming to YOU for answers!! Thank you! I actually have the book already and just read the link you provided. I suppose it really depends on the situation! thanks again. I hope this is the proper thread. Blessing and salutations! I wanted to know if a tapper candle that was previous lit but not for magickal or hoodoo purposes can be re-utilized in a ritual (skull, healing, love, etc.)? Thank you and Happy New Year to all. If that's all you have on hand then, yes, you can do that. I do too have a question. So I have a LM 9 day candle and am final getting around to using it.. because we had just started the wanning moon last week.. my question is this.. I just realized that you are supposed to keep them lit. Well silly me - I am not sure if I am doing this right but each day I have been extinguishing the flame by doing my other part of my hoodoo spell (paper and names and such) then digging a hole in the dirt and putting the "other stuff" in the hole and then pouring the wax (as the candle is still lit till it dies) into and on top of the "stuff" I have then burying it. I am working on a hex breaking spell & returning negativity work with candle magic and just know you are supposed to keep it burning "which I just found out" . and silly me I have been doing spells for years but just didn't feel like candle magic was my thing.. well the more than one day glass ones.. I always used to buy "single serve" candles so never had to worry about more than one session.... and they worked well enough to get what was needed done... but I got nasty stuff going on this time. Any tips.. I don't want the candle magic to be "final" but any good way to extinguish and relight to keep the magic flowing??? Usually, we will snuff out taper or figural candles (in other words, "freestanding" candles) if the spell takes days to complete. But doing that to a glass vigil candle is not standard practice. It disperses the wax (and anything else that is in the candle such as herbs and glitter) and leaves for an inaccurate candle read both while it is burning and after it is out. This is evidenced by the inconsistent signs of your candle burn. If you're worried about your house getting ignited, you can always move your candle to the bathroom. You can put it in your shower stall or your bathtub while you are out. Wishing you the best with your spell work and pray that you get rid of the nasty stuff that you're dealing with. I got three dressed candles from my reader, one to get rid of negativity, one to draw luck/success, and one to make a person keep good on their promises. I was instructed to burn them in that order and wait until the previous candle had burned down halfway to light the next one. I was a quarter way through the first one when my roommate blew it out! I kept my calm but inside I am an emotional wreck, i paid a pretty penny for these candles(i work part time for minimum wage) and i'm on a tight schedule so I cant afford to wait around until payday to get another one! Can I salvage this candle with a prayer for forgiveness? Should I go on and light the next candle? If i light the next candle will it have negative consequences, or will the spell just be weakend because I wasnt able to finish the first candle? I cant contact my reader for a few days Any advice would help, i'm really feeling quite down over this. This was NOT your fault and you will explain this to spirit when you re-light the candle. They know!! However, since you are getting advice from your root worker, I suggest that you wait for him/her to answer you. I don't know what type of magic is in them, I don't know what the means of magic is, etc. I would re-light the first candle (and ask for forgiveness) and, by then, you will have been in contact with your rootworker. Worse case scenario, you'll get another candle of the same. Just don't light the other candles until you consult with him/her. You are innocent of ruining the work, ConjuringCat, but your roommate (possibly innocent too) disrespected your altar. You need some privacy for your work, or failing that, respect from your roommate. Scroll down to "Altar Was Messed With."